Diamond is named from the Greek “adamas” meaning unconquerable referring to its hardness. Diamond is the hardest mineral on Earth. Its cutting resistance is 140 times greater than that of ruby, sapphire, the gemstones next in hardness after diamond. Diamond is a form of carbon and it is crystalized in the cubic system, at enormous pressures and high temperatures (it is formed at great depth of the earth surface – 150km to 300km underground – but it comes to the surface by a particular volcanic eruption). Its exceptional hardness and heat conductivity arise from the crystal structure, in which the bonding between the carbon atoms in immensely strong and uniform (Chemically diamond is a very substance, being in its pure form entirely composed of carbon). Diamond varies from colorless, through a range of yellows and browns, to green, blue, pink and a very rare red. 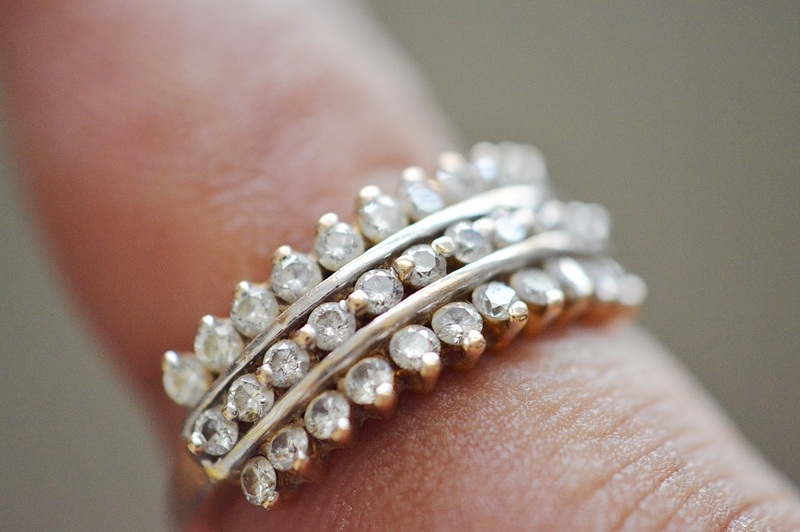 Colorless diamonds are considered the most valuable variety as they are very rare. 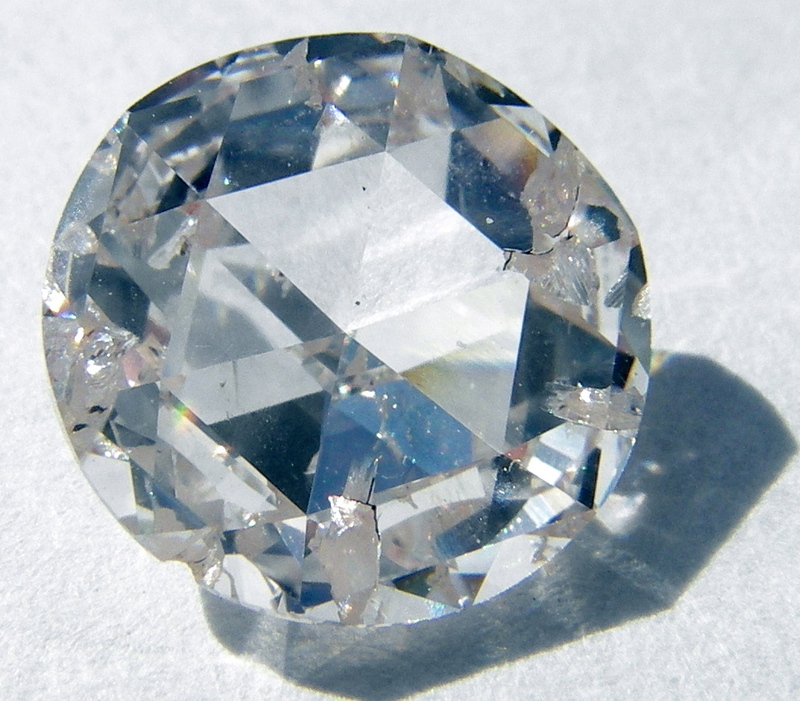 ”Ice” is the nickname for colorless diamond, especially in old crime novels. The most obvious explanation for this tag is their colorless clarity. However, this nickname also expresses two other physical properties. Frist, diamond is very slippery; second, diamond is often cold when it is touched. This is because diamond conducts heat better than any other known element, therefore when you touch a diamond that is at a temperature below body temperature, it conducts heat away from your skin, making it feel cold. It is worth noting that colorless diamond is the birthstone of people born in April and if you are lucky to celebrate 30th, 60th, and 75th wedding anniversaries, diamond is the gemstone to give as gift. Colorless diamond can be confused with precious beryl, cerussite, sapphire, topaz, zircon, sphalerite, and scheelite. Apart from these, there are various synthetic stones that are used to imitate diamond. Especially, YAG, galliant, linobate, and zirconia. As mentioned before, truly colorless stones are rear as most diamonds occur in different colors including yellow, brown, green, black, and blue. The most common impurity is nitrogen, which gives rise to brown, yellow, green and black diamond depending on the amount present and its distribution in the crystal structure. Blue diamonds which are probably the most famous of all colored diamonds contain minute traces of boron. Cutting and polishing diamond is considered as an art as it is the only way to make the most of diamond’s superb qualities. Early diamond cutting was minimal in order to minimize the waste of cutting process but it did not bring out the brilliance of the stone. During the centuries, more and more facets were added to the diamond, focusing on bringing out the brilliance of the stone rather than simply minimizing the cutting waste. Today’s modern round brilliant cut was designed by Marcel Tolkowsky which has 57 to 58 precisely angled facets. His design uses mathematical principles to reflect the maximum amount of brilliant light entering the stone back to the eye of the viewer. In the nutshell, the following process can be distinguished in the working of diamond: pre-examination, cleaving or sawing, bruiting, cutting, and polishing. 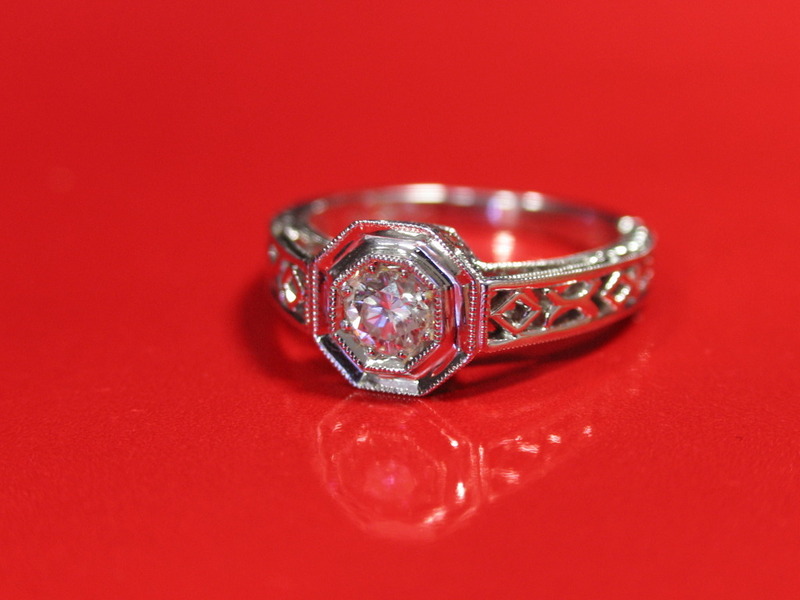 Making artificial diamonds has been a unreachable dream for ages. Finally, in 1955, this dream came true when General Electric Company succeeded in synthesizing small diamond crystals from pure graphite under enormous temperatures and pressures. diamonds is very important in determining the value of a diamond. Clarity is the last of the four Cs that are used to determine the value of a diamond. The term clarity is referred to the inclusions and imperfections (cracks on the surface) that are found in the stone. 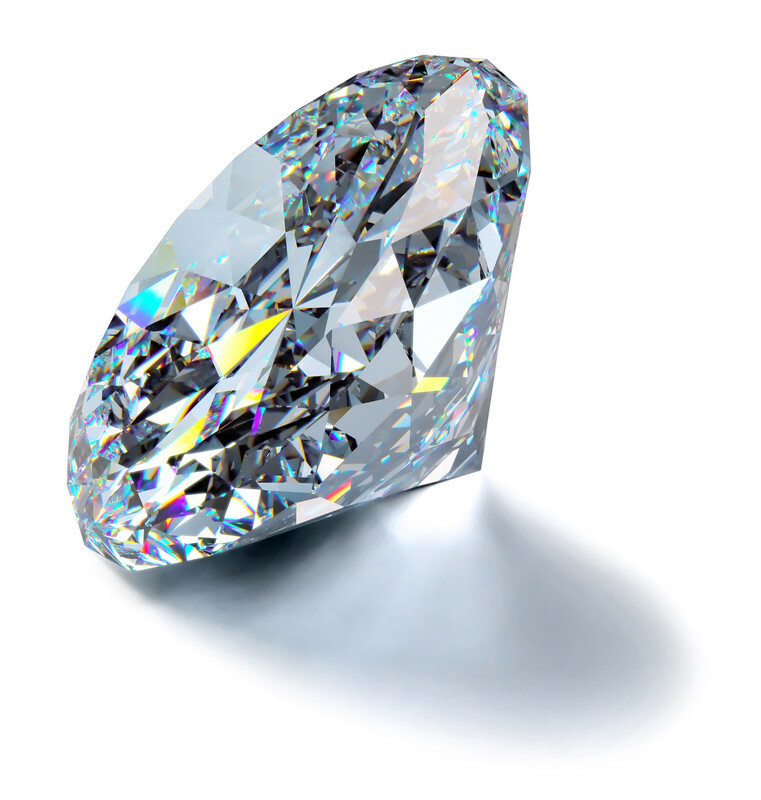 Obviously, the more inclusions and imperfection a diamond has, less value it will have. 1) Dresden, 41 carats, kept in Green Hall in Dresden 2) Hope, 45.52 carats, since 1958 is kept in the Smithsonian Institution, Washington, D.C. 3) Star of Africa, 530.20 carats, largest cut diamond, kept in Tower of London 4) Sancy, 55 carats, since 1906 belonging to the Astor family, Londin 5) Tiffany, 128.51 carats 6) koh-i-noor, 108.92 carats, bought 1739 by the Shah of Persia, who called it “mountain of Light”, now kept in Tower of London 7) Shah, 88.70 carats, now kept in the Kremlin, Moscow. 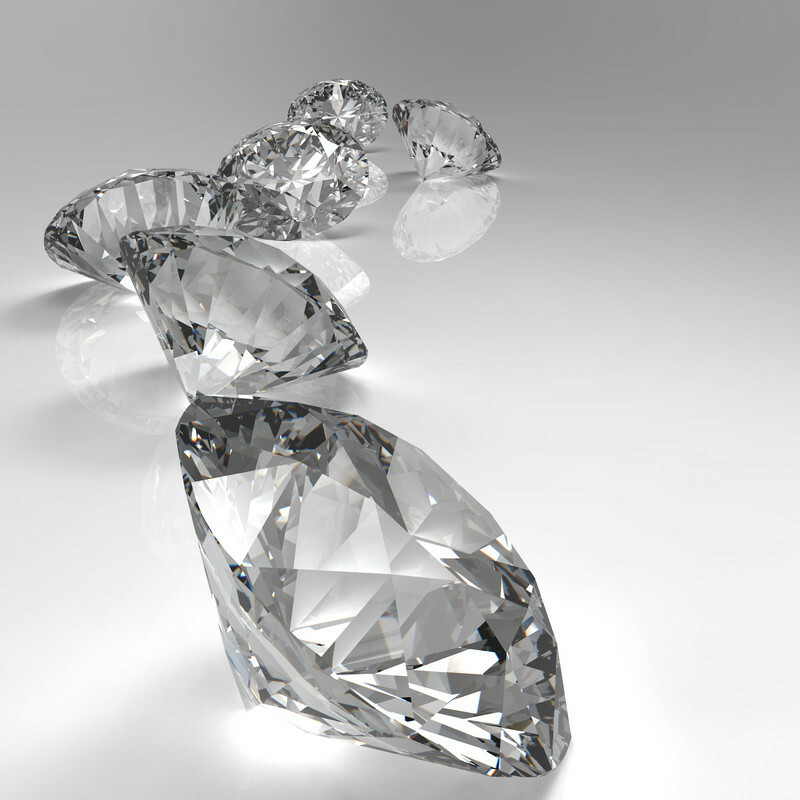 Diamonds are found in primary and secondary (such as river gravels) deposits. India and Brazil are the main diamond producers from secondary sources. 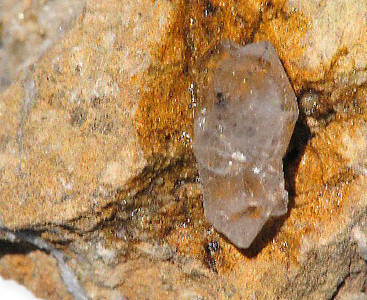 However in 1871 diamond was discovered in Kimberlite rock in Kimberly mine, South Africa. This, proved that diamond can be extracted from primary sources. Australia is the main producer of diamond from primary sources; other locations include Ghana, Sierra Leone, Zaire, Botswana, Namibia, Russia (Ural Mountains), USA, and Brazil. You can find our interactive map for gemstone of the world Here. Diamonds can be enhanced in following several different ways. 1- Irradiation: This is one of the more established ways to treat diamonds. Low quality diamonds are subjected to irradiation, followed by controlled heating, to achieve bright yellows, blur greens, and very dark greens. 2- HPHT: This is the high pressure and high temperature treatment of a diamond to enhance its color. This treatment is considered as permanent. 3- Laser drilling: In this method a laser is used to improve the apparent clarity of the stone. 4- Fracture filling: in this method a glass-like substance fills a surface-reaching inclusion to mask its appearance. Diamond jewellery requires very little care as it is the hardest mineral on earth. 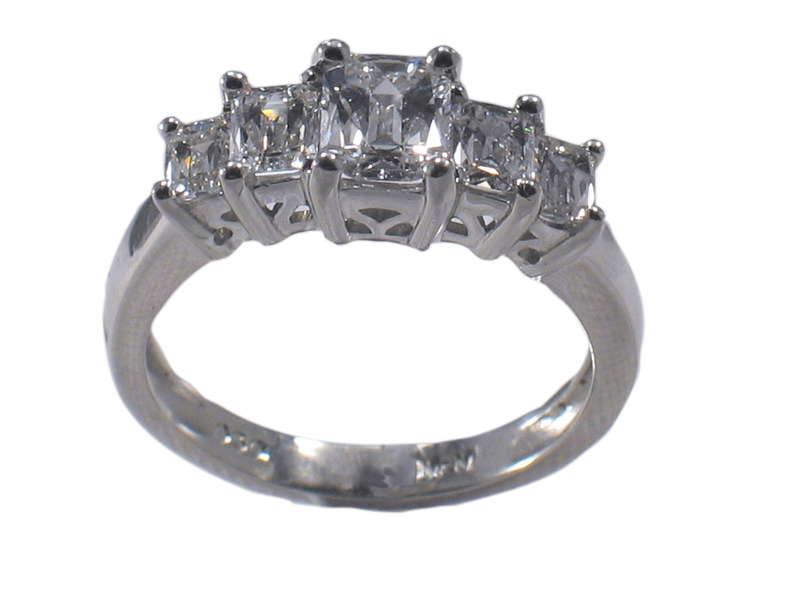 Most diamonds can be cleaned using ultrasonic or steam cleaners.